They’re a gardener’s best friend, and our fields wouldn’t be the same without them. The humble earthworm plays a major role in organic matter recycling in soils worldwide, and now researchers have figured out how they do it. The secret lies in their metabolic system and how they digest their food. Image credits: Manuel Liebeke et al. 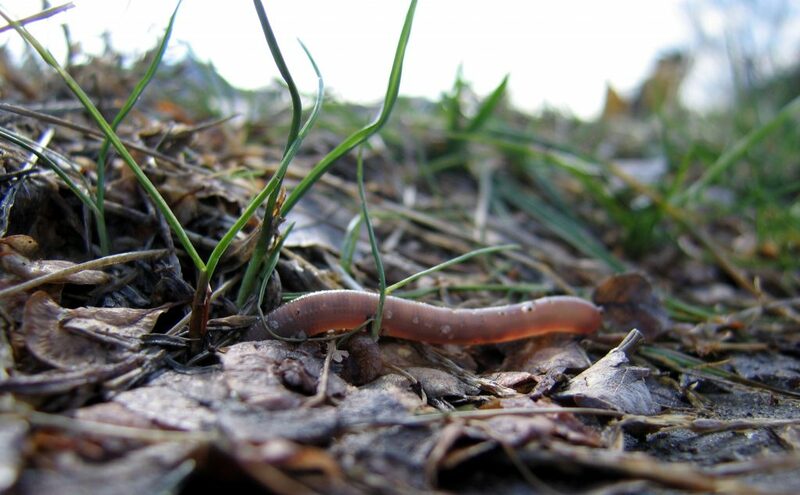 Earthworms are tube-shaped, segmented worms commonly found living in soil, feeding on live and dead organic matter. Their digestive system runs through the length of its body and their respiration goes through the skin. They’re very useful because they drag organic matter from the surface to the earth, returning carbon to the ground, which makes the soil more fertile. But the major benefits that earthworms provide are not only biological, but also chemical (ingesting small parts of the soil and eliminating mineral casts) and physical (they dig a multitude of channels through the soil and is of great value in maintaining the soil structure, encouraging aeration and maintaining the soil structure). So we knew that worms enrich the soil, but we didn’t really know just how they are so good at it. As a new study reports, the secret is a unique digestive system that relies on metabolite molecules dubbed drilodefensins to counteract plant toxins. 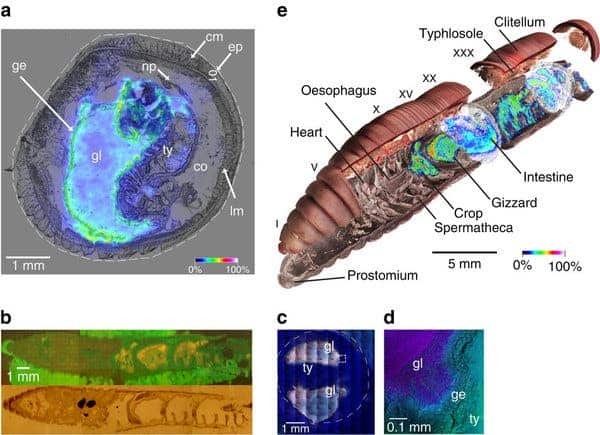 ‘Here, we show that earthworms possess a class of unique surface-active metabolites in their gut, which we term ‘drilodefensins’. These compounds counteract the inhibitory effects of polyphenols on earthworm gut enzymes, and high-polyphenol diets increase drilodefensin concentrations in both laboratory and field populations,’ the study reads. Plants make polyphenols, which act as antioxidants, but also prevent many animals from digesting them. However, thanks to the drilodefensins, earthworms are able to digest them. The findings are published in the journal Nature Communications.